Permanent teeth are meant to last a lifetime, however sometimes damage occurs to a tooth that causes a tooth to become infected. A deep cavity or an injury that causes the tooth to crack is the most common reason for a tooth to become infected. This deep infection damages the pulp of the tooth, which is the network of blood vessels and nerves inside the tooth. When left untreated, the damaged pulp causes infection that damages the bone around the tooth and causes swelling and pain. Root canal therapy is an endodontic treatment that is performed by an endodontist in order to save the tooth. Root canal therapy involves opening the tooth, removing the damaged pulp, cleaning, shaping, filling, and sealing the tooth. Gold Hill Dentistry offers comprehensive family dental services including painless root canals. Drs. Kavi Sagunarthy and Jennifer Mokris understand the important of restoring your smile and eliminating your pain with effective root canal therapy. While an infected tooth can be extremely painful, root canal therapy is not. 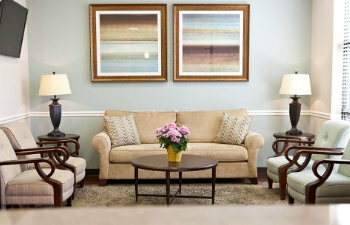 We work hard to ensure that our patients receive the highest quality care in a comfortable environment. At Gold Hill Dental, we used the latest in dental technology and specialized techniques to help our patients achieve a healthy and long lasting smile. If you have a painful tooth don’t let it go without being treated. A tooth that needs a root canal yet goes untreated can cause a spreading infection that can affect the entire mouth. Gold Hill Dental is accepting new patients, and we are committed to bringing you the most qualified dental care.